Update: Most pictures can now be enlarged. I did not post anything here for such a long time that some people might have started to think that this blog is dead. The truth is that in the first few months of this year I spent my spare time being nervous about the fact that I would be flying to the US with my friend Hubi for the first time in my life from May 1 to May 10th. To see New York – to see if it is really real – and of course to finally go to Chicago to see all the locations I always wanted to see: Places where the music dwelled in the 1940s and 1950s. 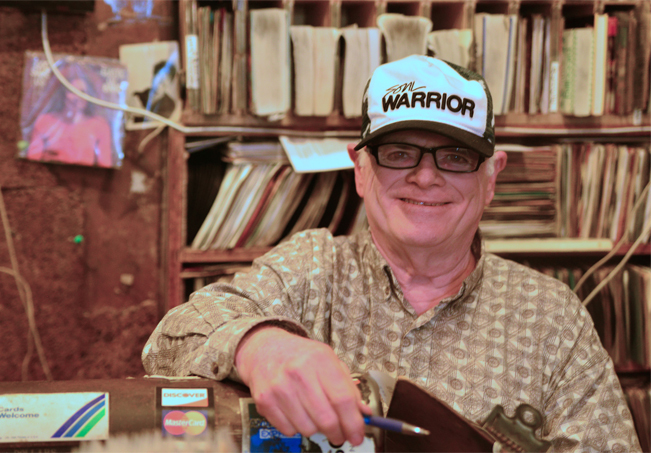 As you might know – connected to my love for Sun Ra – I am especially fascinated by the jazz, r’n’b, blues, and doo wop that was played in this town during that time period. Since this blog is about music and not about sightseeing, I am presenting you here only the music related parts of our journey. 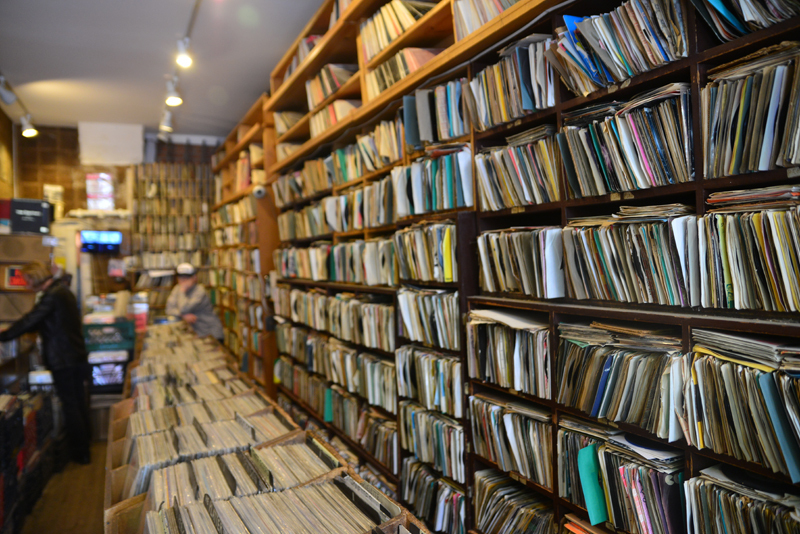 After checking in at our hotel close to the Empire State Building we went straight to Fred Cohen’s Jazz Record Center on the eighth floor of 236 West 26th Street. in the foreground, he bought that one). 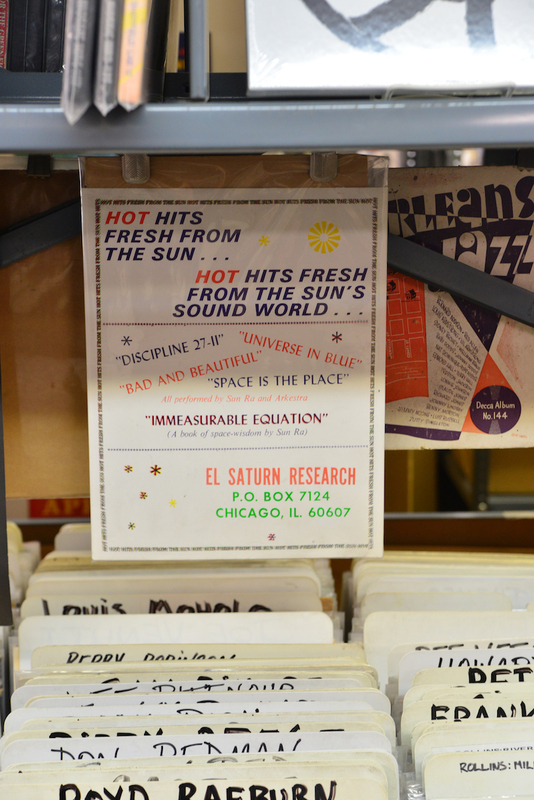 El Saturn Research leaflet at the Jazz Record Center. Most of our second day in NYC was spent walking through Manhattan. We decided to visit Academy Records at 12 West 18th St. As a jazz fan I’d say it is worth a visit if you are in the vicinity anyway. You may well find one rare thing or another there. They also have another shop not too far away – but time was never enough to go there. Tuesday evening was reserved for a little club hopping. 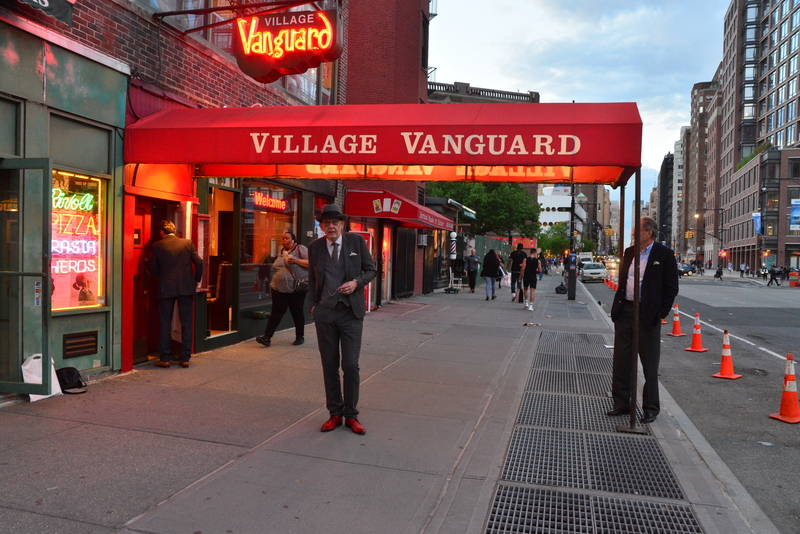 Time to get dressed up for the gig at the Village Vanguard. So who is playing tonight? I had seen David Murray quite a few times before and always loved it. And with his «Class Struggle» at the Vanguard he played a mix of free bop with neoclassical elements with some beautiful ballads thrown in. A repertoire which is quite typcal for Murray. But I have to say that my friend, the late swiss jazz researcher Otto Flückiger, was right when he said that it’s different if you hear that type of jazz in an environment that is its natural home. But this impression may also be owned to the fact, that I was finally being there in the midst of it all! A horn and Charlie Haden at the Village Vanguard. After a set at the Vanguard we took the Subway to the Lincoln Centre at Columbus Circle to see the Grassella Oliphant Quintet at Dizzy’s Club Coca-Cola. 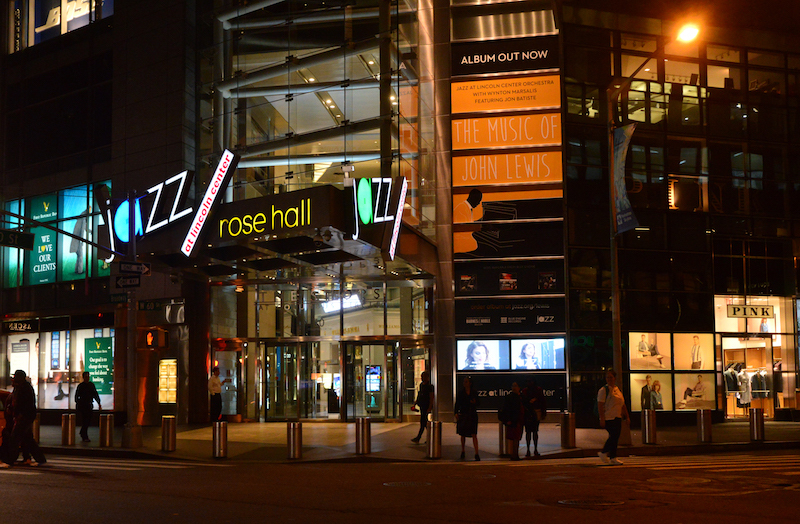 Jazz at Lincoln Center – of which Dizzy’s Club Coca-Cola is a part. Drummer Grassella Oliphant, who is 87 now, had two soul jazz LPs on Atlantic in the mid-sixties featuring people like Grant Green, Bobby Hutcherson, Harold Ousley and Clark Terry. It’s kind of ironic that Oliphant was playing the late night show at Dizzy’s, because this spot is reserved for “upcoming promising bands”. Oliphant’s group featured trumpeter Freddie Hendrix, Bruce Williams on alto sax, bassist Tom DiCarlo and an unidentified pianist (replacing the scheduled Norman Simmons). It was a beautiful concert in an absolutely wonderful location. 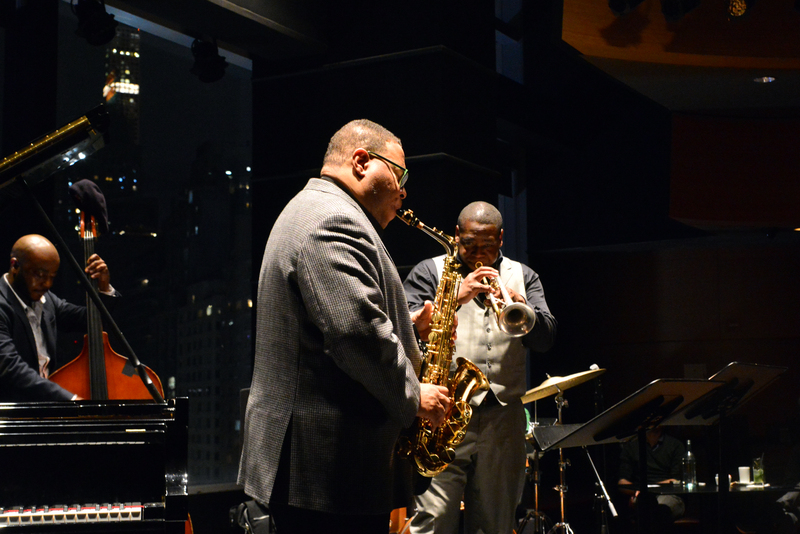 Dizzy’s stage is in front of large windows letting you see the lights of the buildings on West 59th Street from the sixth floor behind the musians. 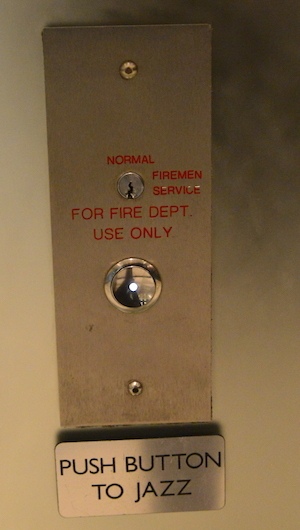 I felt like I was in a movie – ok, I did all the time while I was in NYC! Sitting on a bench outside the building waiting for Dizzy’s doors to open I had felt terribly sick from not having enough sleep in the last 48 hours but that was over as soon as the music finally started. The Grassella Oliphant Quintet played the kind of modern jazz you would hear in NYC in say 1959. Amongst the tunes they played was Duke Pearson’s «Jeannine» as well as a ballad medley consisting of «You Don’t Know What Love Is» and «What’s New», which I managed to record. I made a video clip of this medley featuring photos I took that evening. The clip ends where I thought that the medley had ended. But when the applause died down, the – unfortunately unidentified – pianist took his turn. The LP, in question, “The Grass Is Greener”, is a great soul jazz outing, recorded in spring 1965. Hear for example “The Yodel” composed by Big John Patton and Grant Green. The band on this track consists of Clark Terry, Harold Ousley, Big John Patton, Grant Green, Major Holley and of course Grassella Oliphant. Thanks to youtube user groove addict. 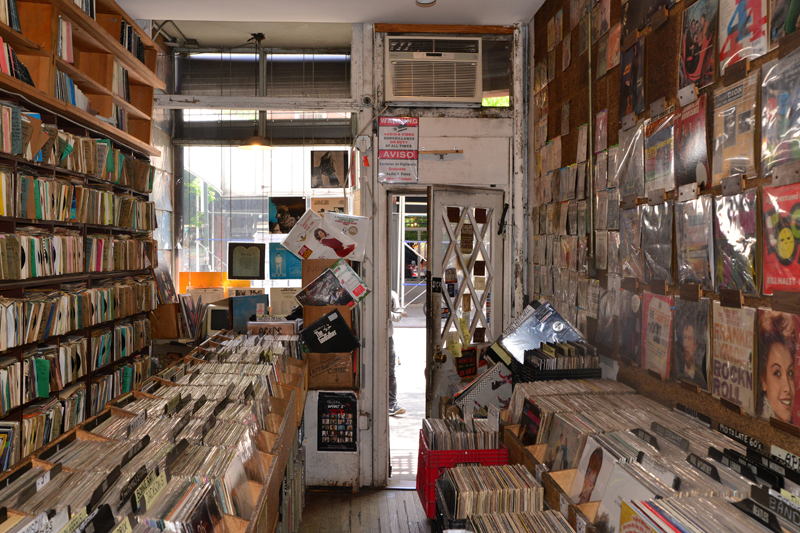 Second Hand Rose Music has a really decent jazz section so it’s definitely worth a visit, The adress is 48 E 12th Street. 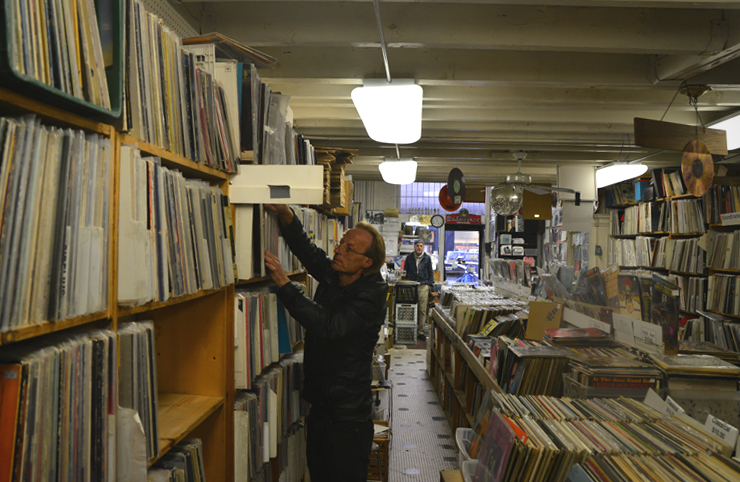 (Click to enlarge) Hubi checking out the jazz section at Second Hand Rose Music. 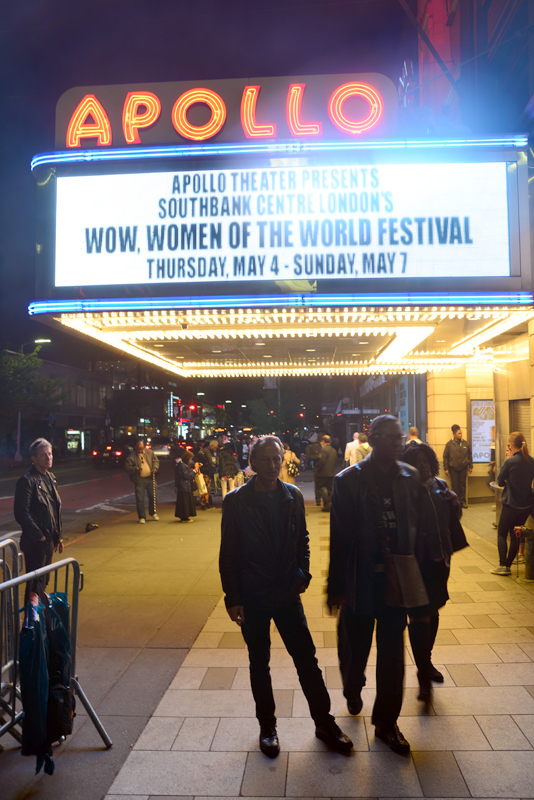 And in the evening: SHOWTIME AT THE APOLLO! Amateur Night was on the programm this day which was actually James Brown’s birthday! Billie Holiday’s name plate in the pavement in front of the Apollo. And here are 49 not to lovingly edited minutes from the evening’s proceedings – starting with the really young artists and showing most of the elders– my favourite is the lady who made second place but the lady who made first was great as well. The presenter calls himself “Comedian Capone” by the way. Spoiler: Nobody’s performance was stopped by the famous Executioner on this night. 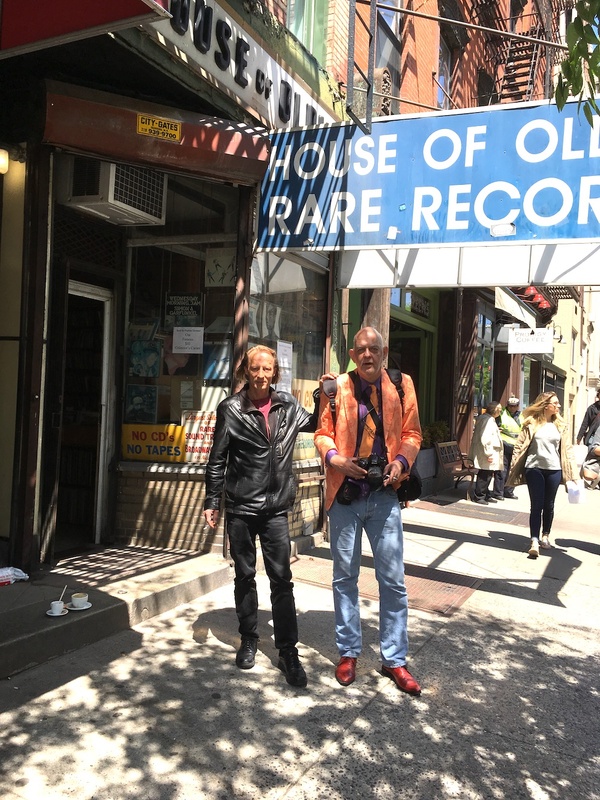 (Click to enlarge) Hubi and me in front of The House Of Oldies. First question to the store’s owner: “Do you have a jazz section?” Answer: “No!”. (Click to enlarge) Inside the House Of Oldies. 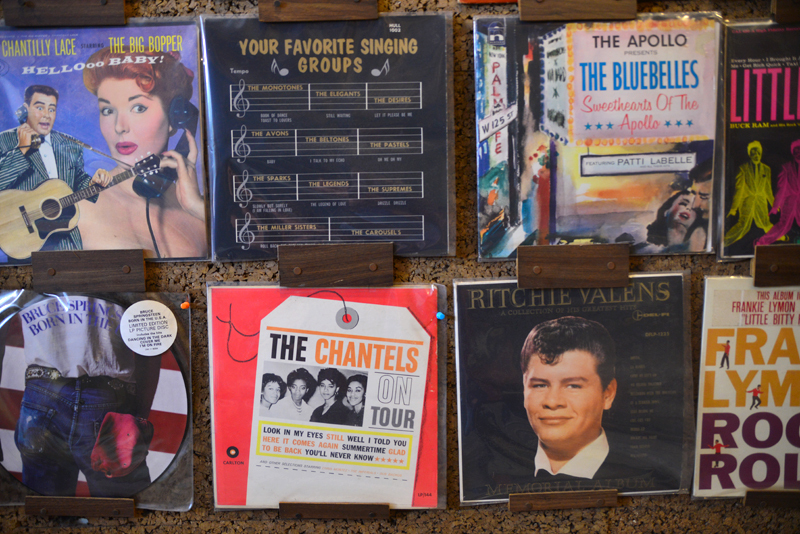 (Click to enlarge) The 45 section at The House Of Oldies. Of course I should have noticed right away that the owner – a gentle salesman around 75 years old – obviously is a soul warrior! (Click to enlarge) The owner. We left a quite a lot of money there and had to decline his offer to show us the 78s in the basement – how would we be carrying them anyway? On or way back to the Hotel to relax a little bit before the evening’s concert we saw this Beat Boxer named KAZ in some subway station. Marvel how not even his billboard going down can keep him from carrying on! 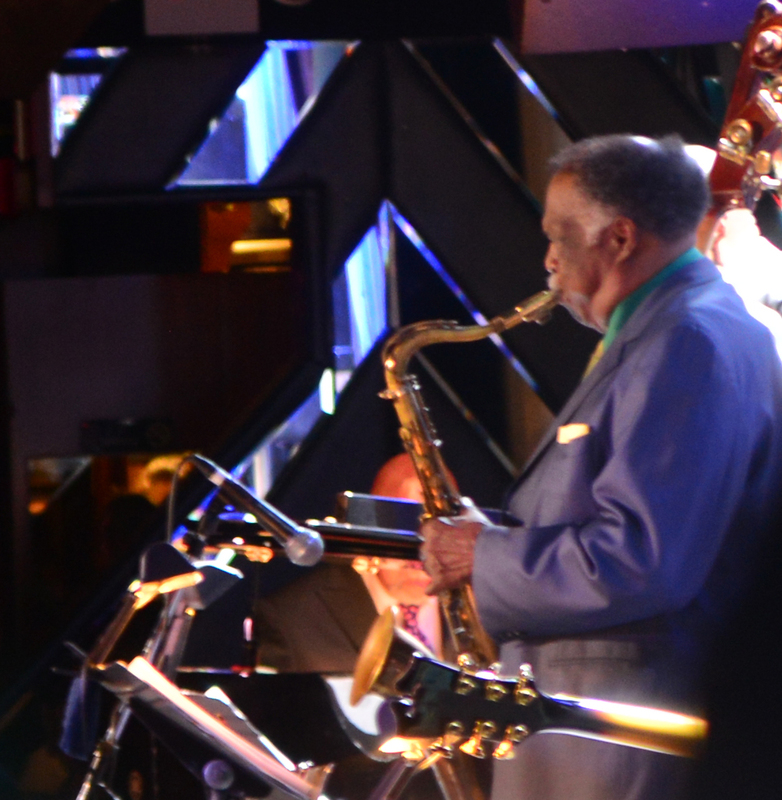 I had great expections for the Ron Carter 80th birthday event at the Blue Note. Carter was celebrated all week, playing in different combniations each day. 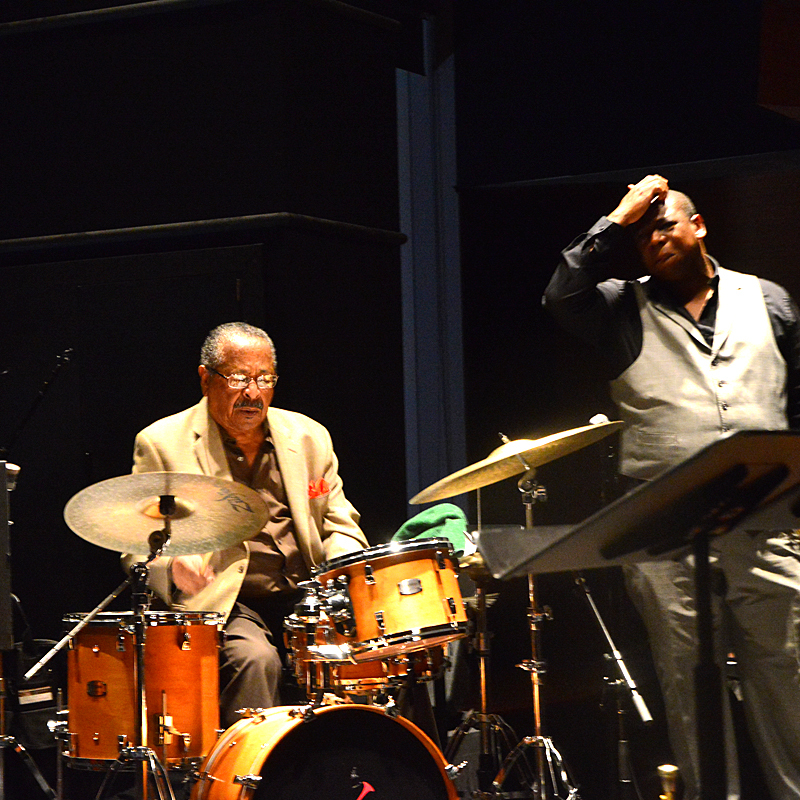 The band we witnessed featured Carter with Houston Person (ts), Kenny Barron (p), Russell Malone (g) and drummer Payton Crossley. It was a nice concert I guess, but I also guess that the Blue Note has seen the last of me. It was cramped inside and we got seats as far away from the stage as possible. Since we are no more in the age where you love to stand at a bar for an hour we had decided to book a table – in which case one has to eat something. So you are sitting there waiting for your food while the band is playing very quiet and lyrical accompanied by clinging glasses and rattling knives. When your food finally arrives after half of the set you payed for is over, you do not dare to eat it, knowing you will make disturbing sounds as well or push your neighbor off his chair by lifting your fork. Fortunately our neighbors were nice people and the lady besides me even stood up for a second so I could at least make a bad pic of the band I would have loved to enjoy. Houston Person at the Blue Note, NYC, May 4th 2017. Unidentified soul singer in NYC subway station. And apart from the terrible Mariachi band (no picture here, sorry) at La Guardia airport – where our plane to Chicago was delayed for five hours – that was it for the NYC part of our musical journey. In part 2 (be patient): Chicago! Disclaimer: I never understood English/US comma rules – and I probably never will.